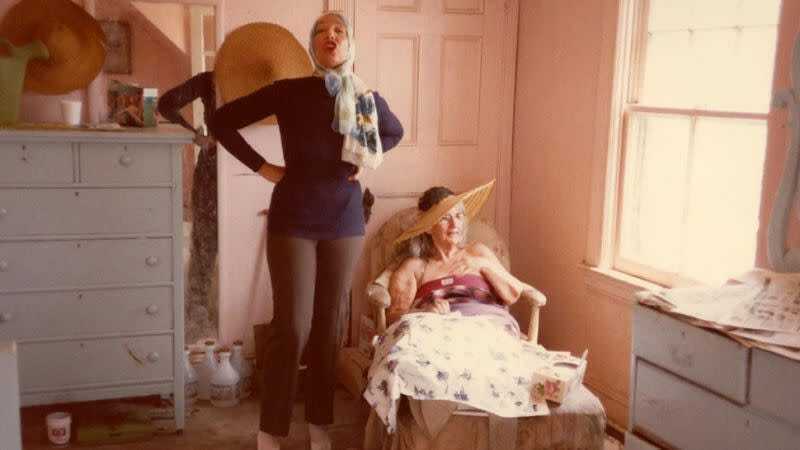 Shoppers and voyeurs journeyed from across the country over the weekend to purge Grey Gardens of its every last drinking glass and cloth napkin, items that once belonged to the infamous “Big Edie” Bouvier Beale and her daughter, “Little Edie” Beale. “Curiosity would come up to the fact ‘why is this house a shambles among these beautiful estates? Something must be wrong,’ ” Brullo said. Inside the house, visitors took selfies, re-enacted scenes from the movies and tried to picture what had been in the rooms before they were emptied. Big Edie died in 1977, and Little Edie sold the house in 1979 to Sally Quinn and her husband, the longtime Washington Post editor Ben Bradlee. The two restored the dilapidated mansion and remained its owners for several decades—until October, when it was sold to an undisclosed buyer. Even if the sea captain opts not to stick around, the ghosts of the Beales’ strange, sad lives will remain etched in the property for eternity. If you’re very quiet, I can guarantee you’ll still be able to hear Little Edie singing. GIVE GREY GARDENS BACK TO THE RACCOONS!! !